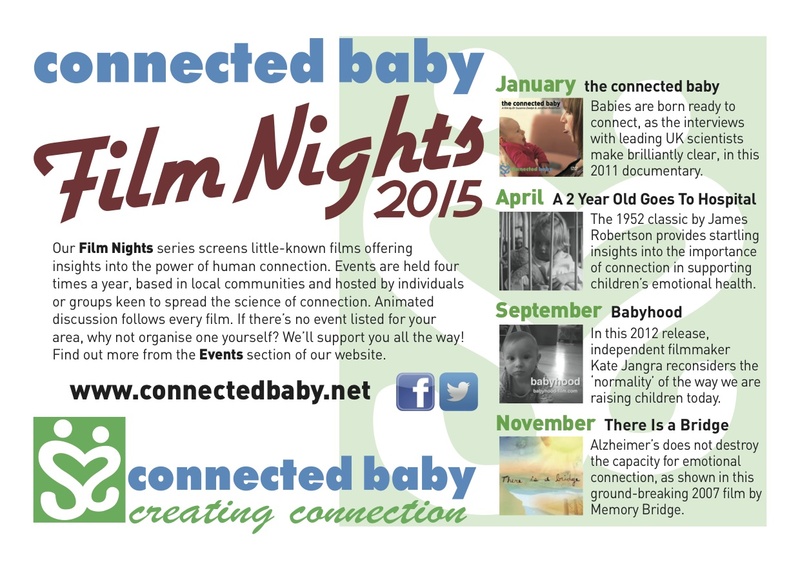 I am very excited to be part of the Film Nights scheme that Connected Baby has started. Dr. Suzanne Zeedyk, whom I interviewed in my film Babyhood, has set this up to bring groups together to watch films that “offer insights into the power of connection”, and then have a discussion around the subjects raised. Whenever I have shown my film, the discussions afterwards are the most interesting, and I am so pleased this will be happening in September throughout the UK! Please contact Connected Baby if you want to host a night too! She has written a great introduction to my film, which flatters me and i want to copy here!! Jangra asks: What might parenting look like in the absence of what she sees as today’s ‘parenting props’ – consumerism, the media, and parenting experts? The project was born from Jangra’s experience of having her first child, which led her to question herself and everything she had thought of as ‘normal’ up to that point. The film won the Culture Unplugged’s Award for Film-makers’ Choice – Conscious Art, in 2015. It was chosen because represented, in the judges’ view, “the film that was most conscious in its selection of story, vision, and art of filmmaking in its ability to awaken global citizens and help them to usher life toward a new direction.” Who wouldn’t want to see a film that achieves such accolades?! The film has also received attention for its relevance to professional practice. For example, Canterbury College has licensed it to be shown to students enrolled in courses for working in preschool settings. Hollie McNish, award-winning rap poet. Come and join us for an opportunity to think in depth about the context in which our babies are growing up.